Micro Lab Limited is recruiting for the post of Officer / Executive quantity control for the year of 2015.Location at Hosur. 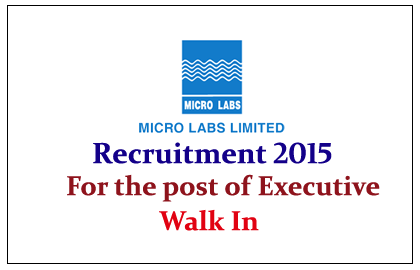 Eligible candidate can attend walk in interview on 27th , 28th and 28th May 2015. Eligible Candidates can attend Walk in interview with updated resume and original educational certificate on 27th , 28th and 29th may 2015.